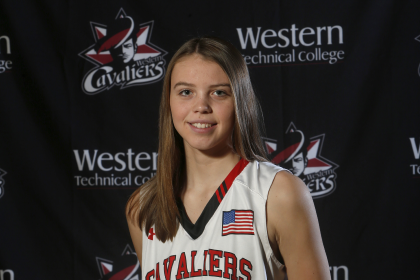 Western women’s basketball player Caitlin Young, of Holmen, was named Player of the Week by the Minnesota College Athletic Conference (MCAC). Young scored 26 points off the bench in Western’s 99-56 victory over Ridgewater College on Feb. 2. Last week, Young totaled 37 points, including nine rebounds and three steals. Young is averaging 9.9 points per game for a Cavaliers squad that is 7-0 in conference and 13-5 overall, leading the MCAC’s Southern Division.